The year of 2012 will soon be over, we will wave it farewell as we enter a new chapter. Is it because I’m getting older or do the years really fly by so quickly? It seems not so long ago I was sat here writing a post summing up 2011 yet here we are again fast approaching the year 2013… I can hardly keep up! So, how was 2012 for us? Well, amazingly it was pretty drama free (just the way we like it)! With little man now really settled at his new school things have been… Well… “Normal” I mean I no longer get daily phone calls from head teachers demanding I collect little man! I’m actually able to go shopping without that niggling fear that my mobiles about to ring as soon as I start loading the supermarket trolley. We have had some wonderful highlights to this year one being our second Mad blog awards win where the blog was crown most inspiring for the second consecutive year in a row. 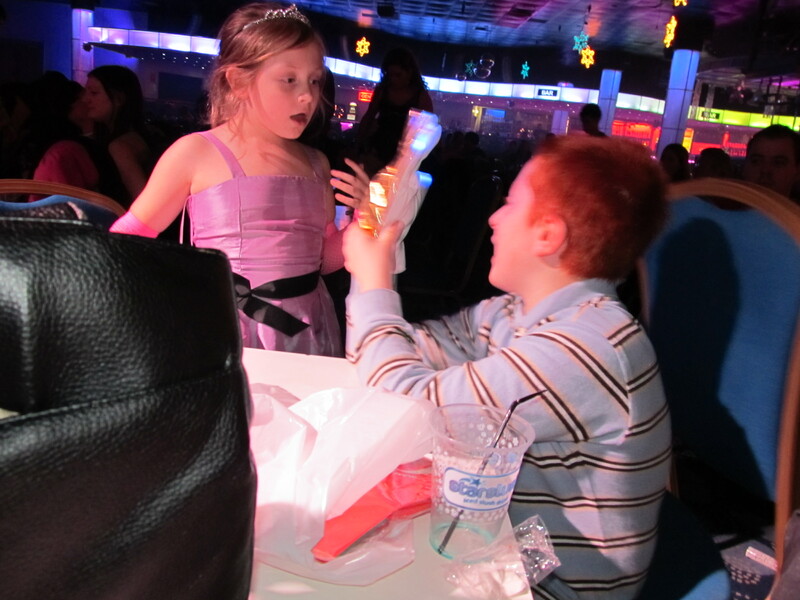 It was a truly wonderful surprise and one we didn’t expect. 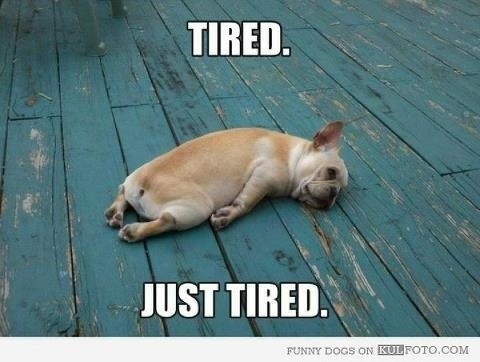 Lets just say I woke up with a somewhat sore head the following morning. 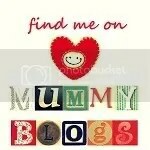 I was also a runner up for most inspirational blog in the BIBs (brilliance in blogging wards) run by Britmums. At the beginning of the year I got to attend Little mans first ever sports day. Ok, his 12 years old so that may seem strange for some. But those who like me have a child on the autism spectrum will likely have experienced the same… Their child being excluded from everyday activities as they are branded something of a health and safety risk. 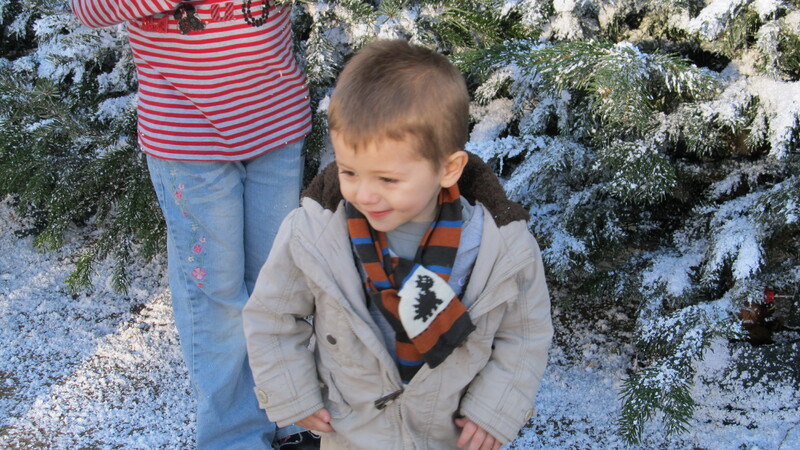 Little mans attendance at his new special school has brought with it a lot of “firsts” this year, including his most recent Christmas performance that almost had me in floods of happy tears. I also attended the school Christmas lunch which is such a big deal when you have got to the stage of thinking “You’re child will never be given such opportunities” such negative thoughts are all based purely on the bad experiences of the past. 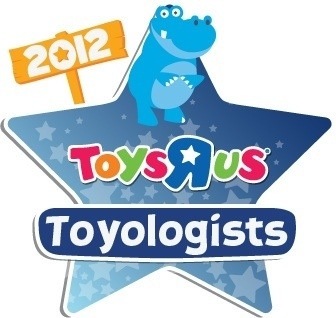 Other wonderful things that have happened this year include, being chosen as Toy R Us Toyologist. 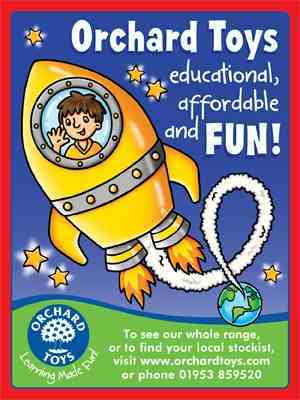 Alice and little man were blue group reviewers and lots of fun was had reviewing all the great toys in the run up to Christmas. Little man discovered his love of making review videos and mini tutorials, his confidence grew and as a result his only gone and started his very own youtube channel. We were also invited to be LEGO Family bloggers this year and as you can guess, that news had the little man excited beyond belief. 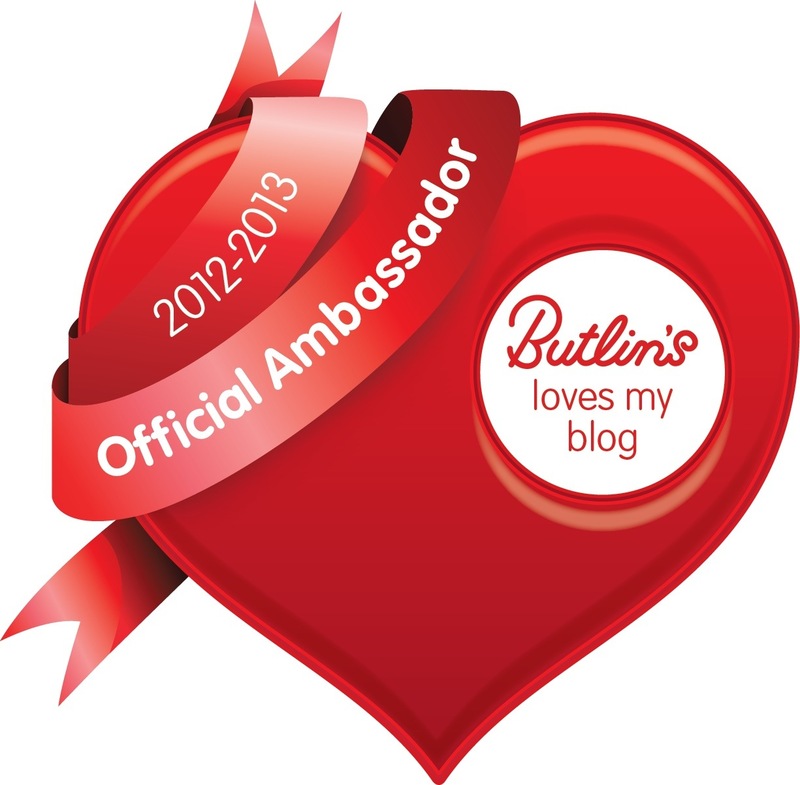 Another really big surprise was being chosen to be one of Butlins Ambassadors. Next year we will be visiting Bognor Regis resort and I’ll be able to share with readers our experiences including how the park caters for children with additional needs and sen. We start our holiday on the 1st April and I for one really can’t wait. 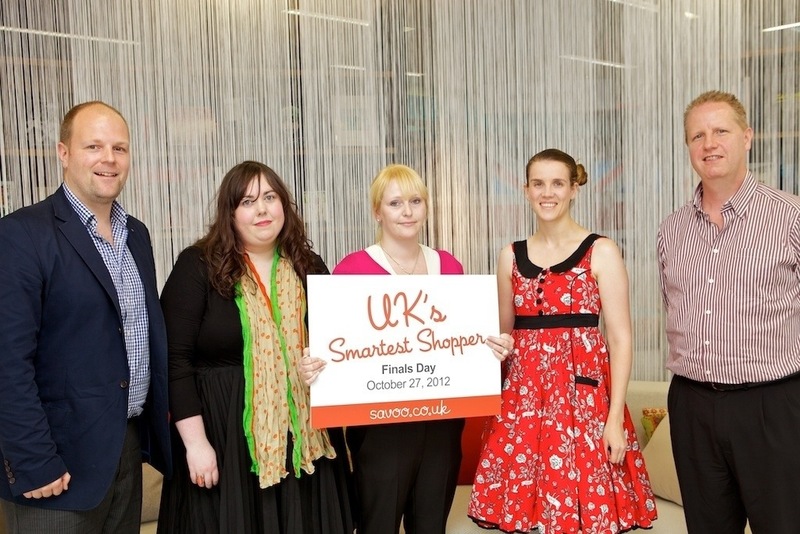 October see me as one of ten bloggers and writers who were chosen as finalist in the Savoo smartest shopper competition. 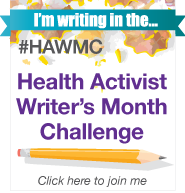 I was in with the chance of winning a prize of £10,000 plus the chance to write my own money saving blog. No I didn’t win! But looking back I do realise what a wonderful achievement it was to be in the final amongst the red hot competition. This year seemed to be the year for competitions. 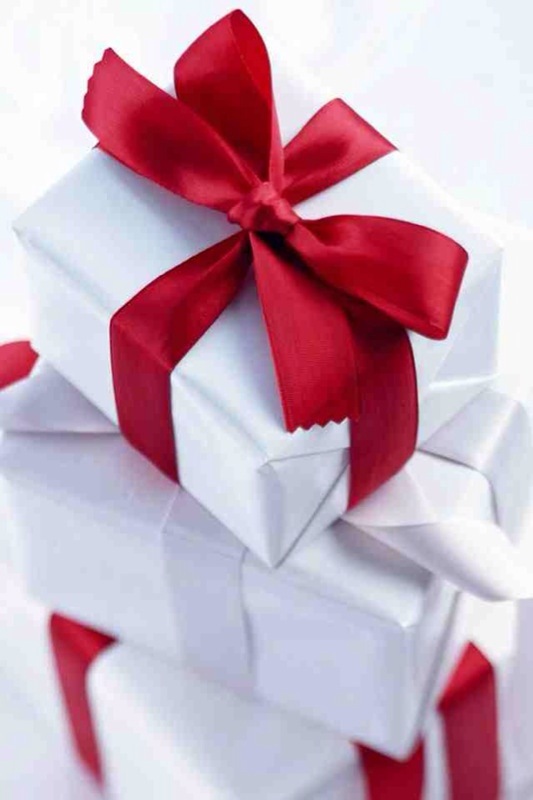 What with Alice being a runner up in the Ice Age Jr reviewer competition winning a fab trip to Bristol, Little man bagging himself an iPad Mini on an online raffle that was organised by his school reward system Vivo, and that of Alice finding out on Christmas Eve that she had won £750! This was for her amazing entry into the post card from Santa competition run by Travel Supermarket (the entry & video can be seen on my sister blog mummy of many talents). On the whole the year has been a kind one. 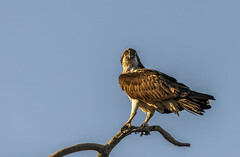 Sadly we do still have the worrying situation involving my sister and the SS (see the blog post peek a boo) following us into this coming new year. As a family we are continuing to support her the best we can while fighting the system that is destroying her. So… What will next year bring? New opportunities, more school plays and sports days. I don’t hope its a good one I’ll be sure to make it a great one. 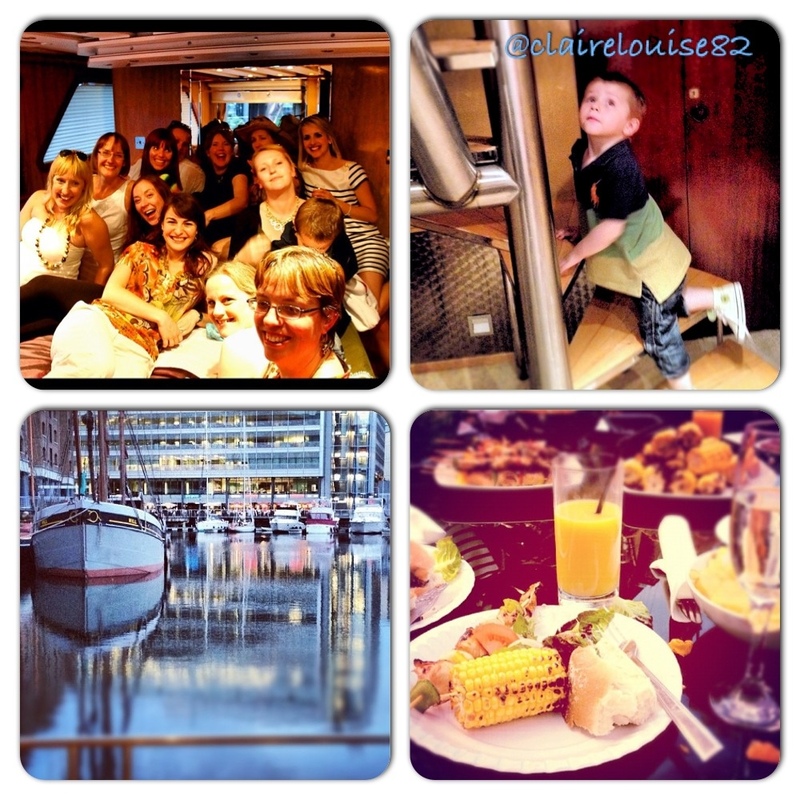 Things have been so busy these past few months that I haven’t had the opportunity to tell you all about a fabulous day out I was treated to back in August. 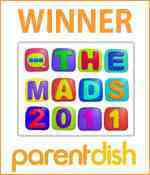 As some may know I won a Mad Blog award back in 2011 for the Most inspiring blog! This year I’m really excited at the fact I’m once more a finalist and will be heading to central London at the end of this month for a lavish awards ceremony. 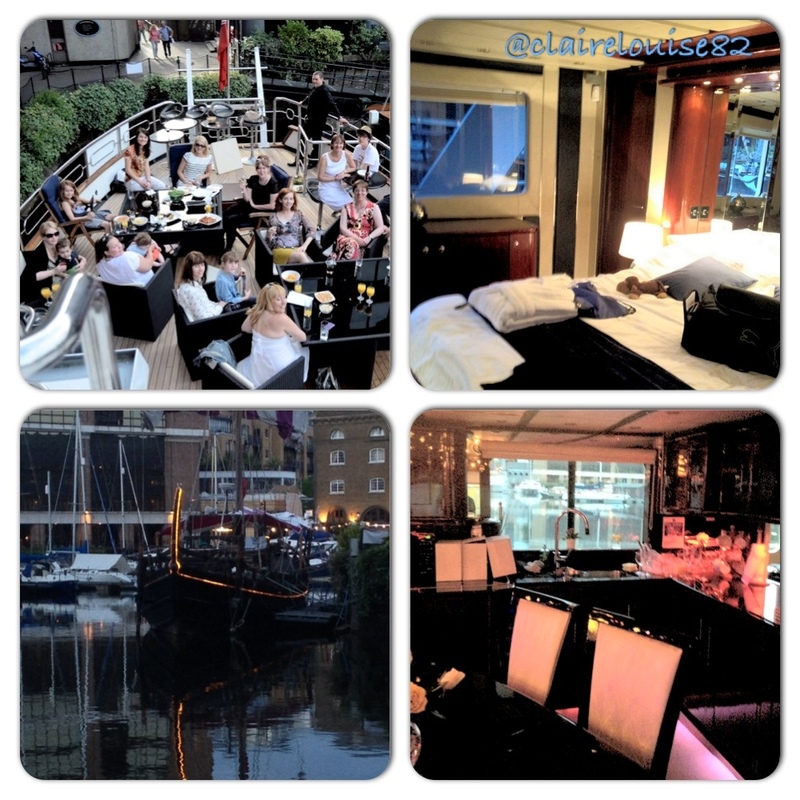 Due to the fact I’m a finalist in this years awards, I received a lovely invitation from ‘HomeAway‘ sponsors of this years travel category.This invite was an invitation to attend a fabulous day aboard a luxurious yacht…. Yes yacht! Now, before you ask, I’m not a finalist in the travel category but instead the most inspirational, though I was actually nominated for travel I didn’t quite make the cut. Of course my reaction to this nomination was one of laughter! I wondered to myself “who ever put me up for that?” You see, travelling is something I don’t do well with three kids in toll, especially when on is on the autism spectrum. 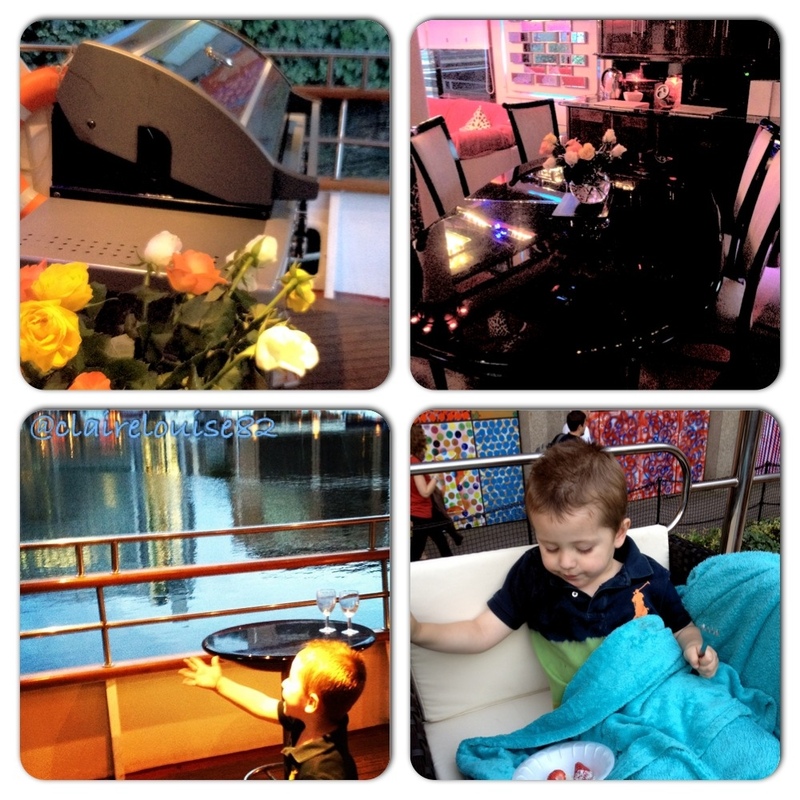 Most of our tales of travel, consists of meltdowns and on my part… breakdowns! 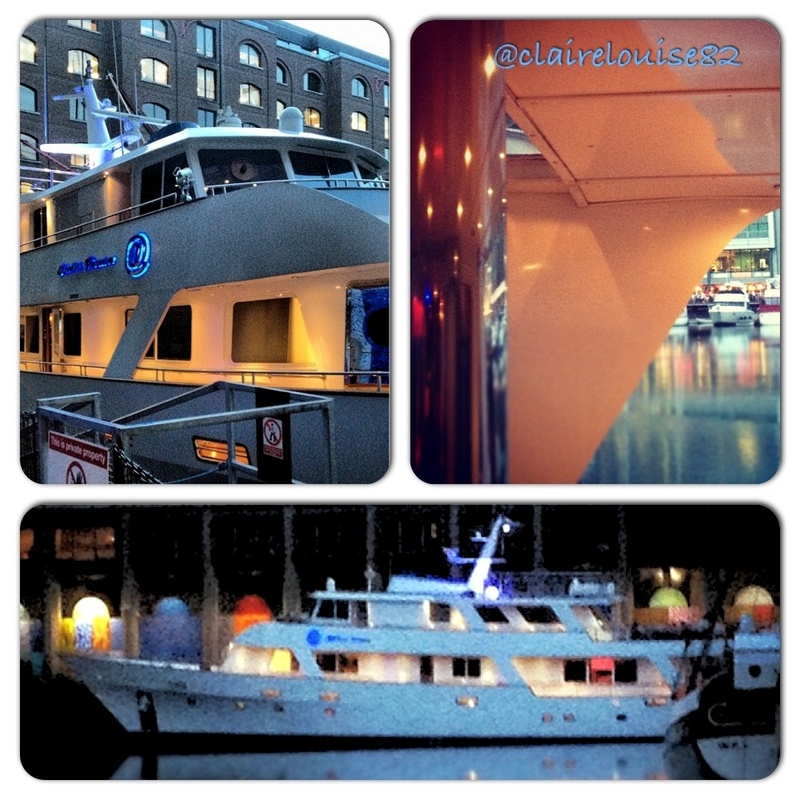 So, you maybe wondering why I was invited to board this luxury yacht docked at the beautiful St Katharine’s dock near Tower Bridge? I know I did! Well, turns out that those lovely lot at HomeAway wanted to share the love and given they had acquired an entire yacht for a weekend, they totally wanted to make the most of it! I guess given that there is only 5 finalist per category, it made sense to invite a few more. I didn’t need asking twice, I actually juggled some plans in-order to ensure my attendance. I only had to look at the images to know this was a not to be missed opportunity. I’m your average mum of three who just doesn’t get invited aboard a luxurious yacht for a barbecue. Would this opportunity arise ever again? Most likely not, that is unless I win the lottery! 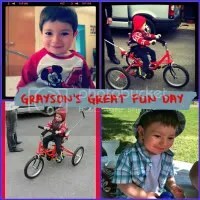 I was really pleased that I was allowed to take my youngest Harley. 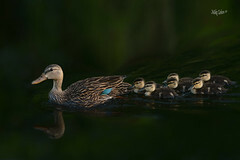 The two older children had plans with their father and I was struggling to find a babysitter. The day arrived and despite having to get there with a toddler in a pushchair on the crappy London Underground, I was actually early! If you know me then you’ll understand why I had to slip that in! Was I blown away but this dreamy yacht? Hell yes, it was simply stunning. At first I did worry the toddler would walk about touching things he shouldn’t. At one point I had this terrible vision of him lobbing people’s belongings overboard just to gain the satisfaction of hearing it go plonk (when your child has a thing about throwing everything down the toilet you can’t blame one for thinking it)! Luckily there was no such dramas and if anything I was amazed at how well behaved my little guy was. 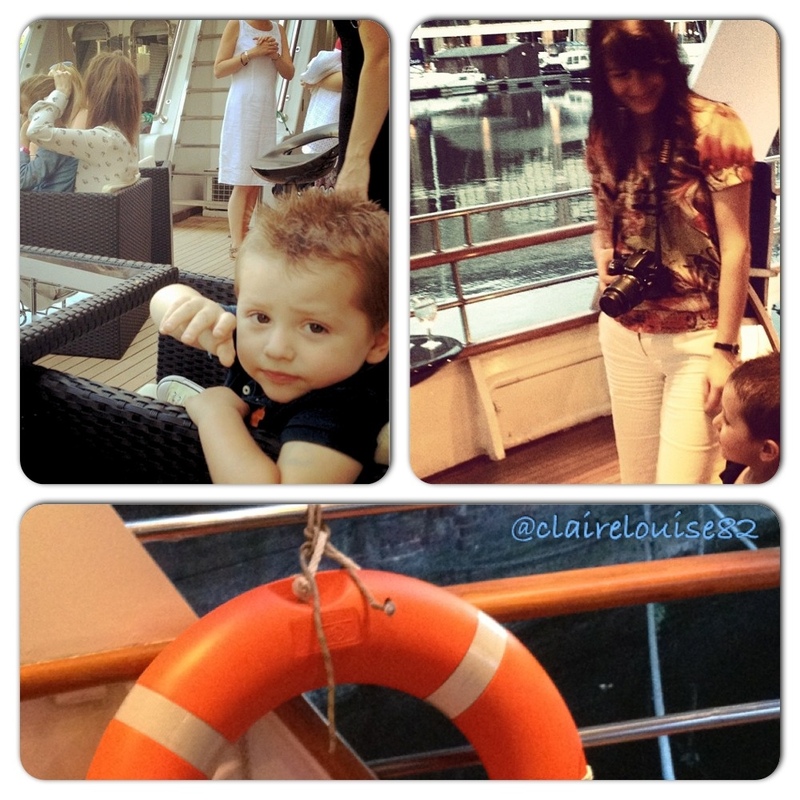 Harley loved our time aboard the yacht especially all the attention he got given. 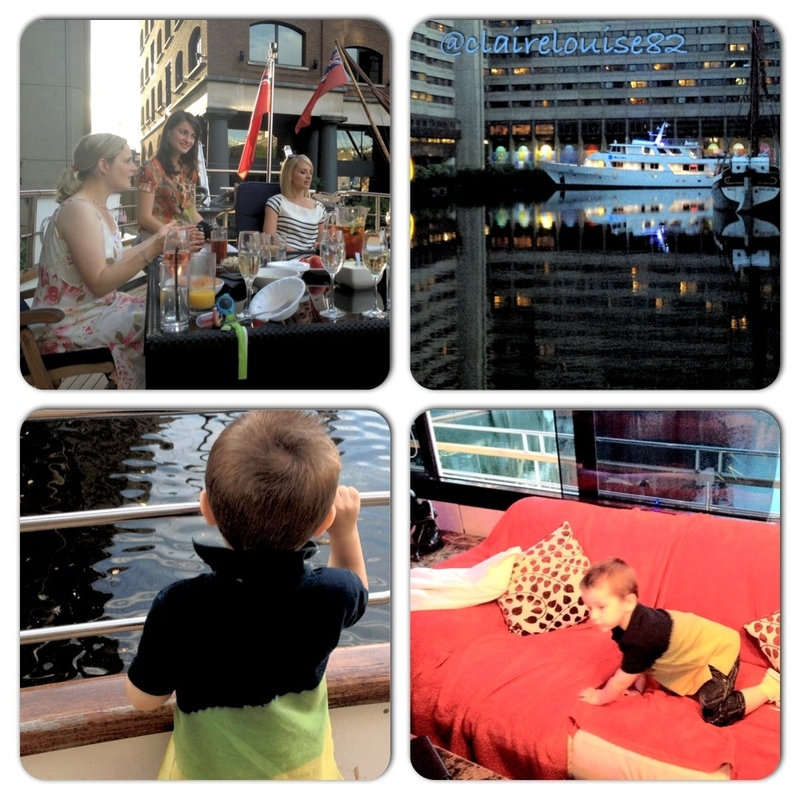 It was lovely to meet the HomeAway team and see some of my fellow bloggers and award finalist. Everyone was in high spirits, what with the beautiful weather, a delicious barbecue, strawberry and champers and a steady serving of pimms. 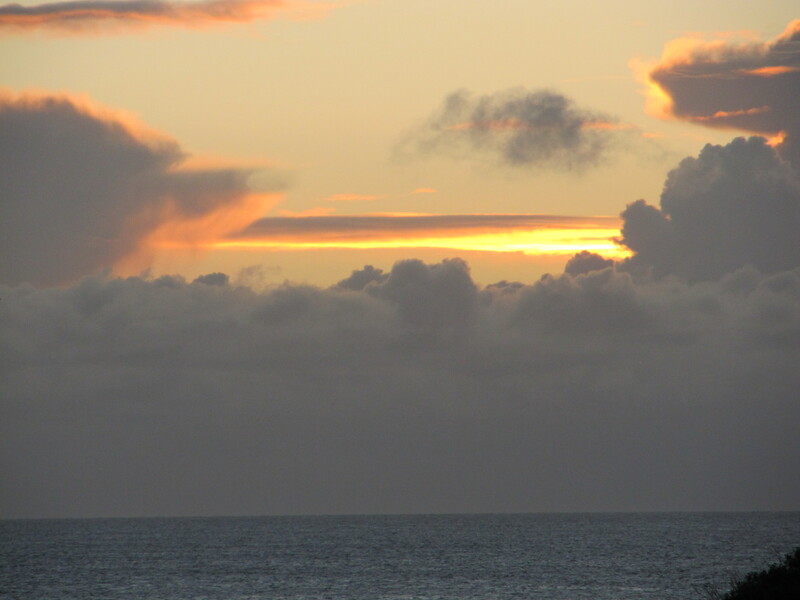 We all sat out on the top deck chatting as the sun went down. 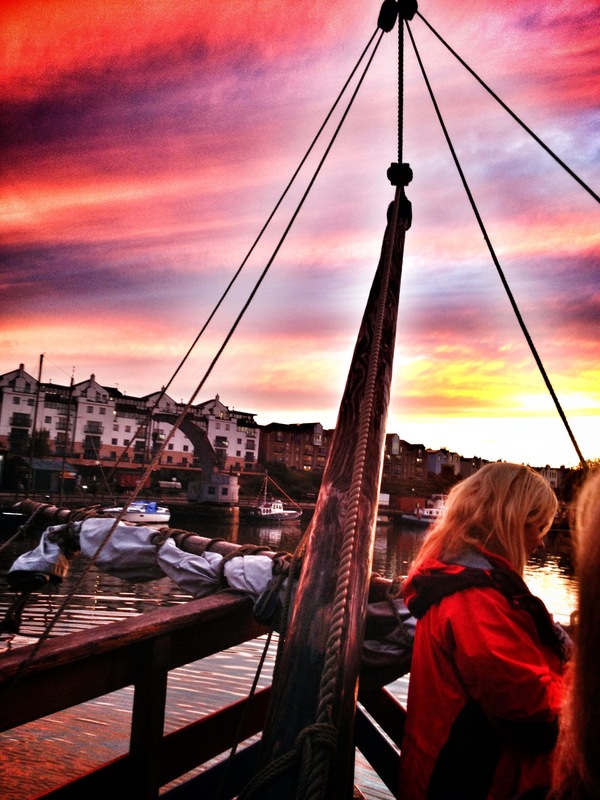 I stayed much longer than I had first planned and really felt relaxed and comfortable in everybody’s company. It was a spectacular day aboard a spectacular yacht and I for one won’t forget it in a hurry. Thanks to both the Mad Blog Awards and HomeAway for making it happen. So, there are just 5 days left till the voting closes for the Mad blog awards. 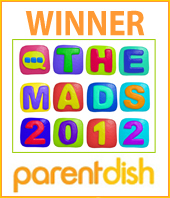 I’m chuffed to have made it to the finals of the Mads 2012 (most inspiring category). This year there’s some fantastic blogs amongst the finalists and it’s worth just popping over to discover some fabulous new reading material. 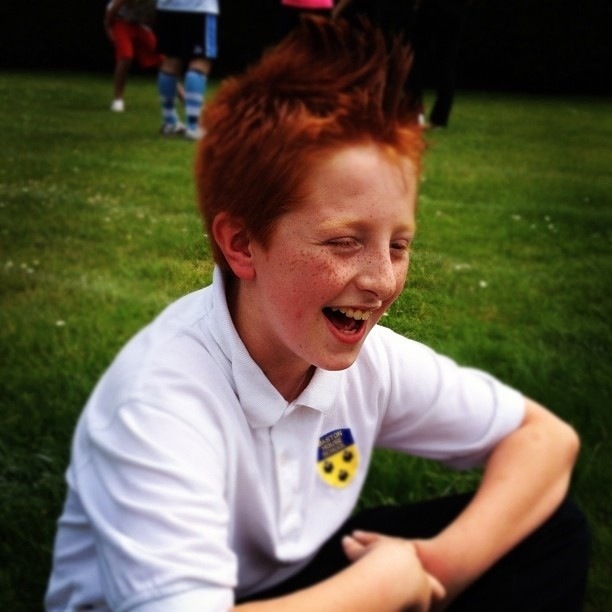 However if you do love what I do then please vote A boy with Aspergers for most inspiring 2012. Voting closes on the 6th June 2012 at 5pm. Just click the button above. Huge thank you to all our readers and supporters and to that of Sally for making the Mad blog awards what it is today…something I’m dead proud to be involved in! SEN Reform Aspirations – You Decide! 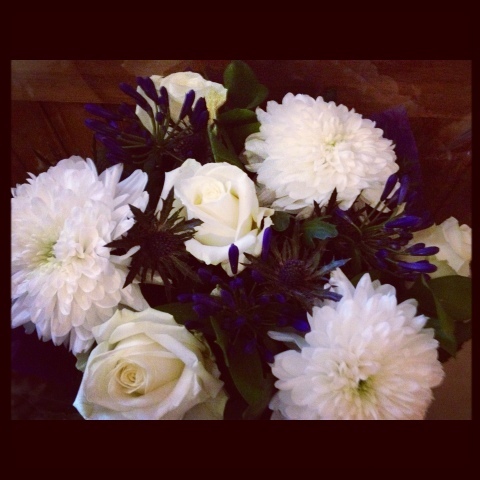 It’s this I wish to expand on, here on the blog today! OK, the government published it’s progress report on the above paper, earlier this week. Reading the report I still find myself worried on a number of different levels. Now, although I’m up for the whole idea of children with a disability or SEN receiving support up until their early adult years (25 years of age) the overall majority of this progress report still strikes me as worrying. Excuse me but I can’t seem to shrug this niggling feeling I have at the back of my mind, that this is either some kind of money-saving tactic, a way of shrugging a degree of responsibility on to somebody else, or just an ill thought out process! What’s more it’s in my opinion that some of the most important issues remain unresolved or somewhat unclear let alone progressed! Actually it would seem that some of these proposed changes, are anything other than changes at all! For example: section 2 giving parents control! Ok, so we can make our preference known and the local authority has a duty to meet those preferences… Right? Mmm… Isn’t that how the system is meant to be working already? That’s why I thought we were meant to be changing it! Scanning through the entire proposal, it seems a lot of the stuff we need changing isn’t actually changing at all, wheres the things we don’t want changing (just slightly amending) are being scrapped altogether! These seem to be the things us parents cling to when trying to obtain efficient education for our children (remember the law states efficient is all our children require)! A great example of this would be the graduated approach (School action & action plus) which is all set to be removed leaving parents of unstatemented children quaking in their boots, and rightly so! So, why has the government made such a decision? This is due to their worries concerning labelling or should I say “Over labelling” Although to some degree, I agree that this is a problem to some extent, I’m also worried that this will stigmatise those that have a genuine need for additional support, support that only that of a statement can offer. Yes we’re hearing about extra funding to train sencos and teachers but is this really enough assurance for the parent of the unstatemented child, the one that has no legal rights if support is offered or not? We just can’t categorise these children, it’s not one size fits all! Regardless of a child’s disability, special educational needs or even attainment, every child is different! Not every child with autism requires SALT, not every child with dyslexia requires extra TA support. 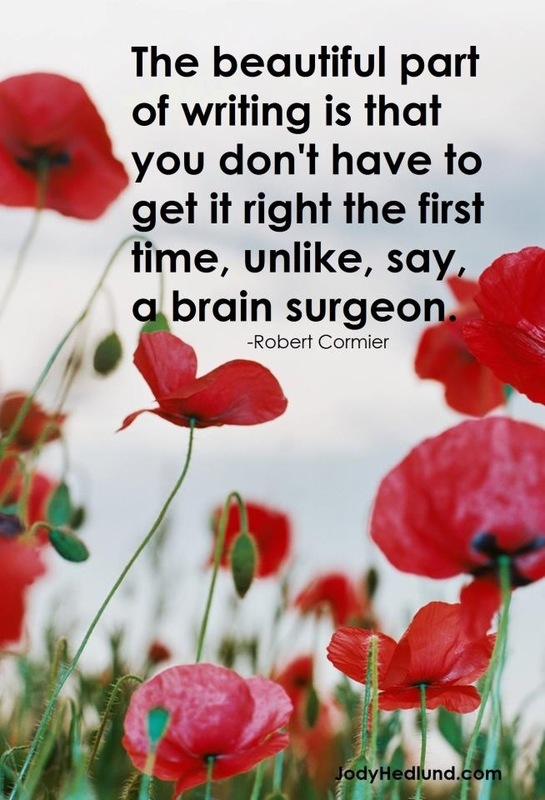 I remember my son always being compared to a fellow child with Aspergers in his “then” mainstream school! My child badly needed extra support with speech and language mainly due to his literal understanding of language, but because the other boy didn’t require such help, I was told little man didn’t either! 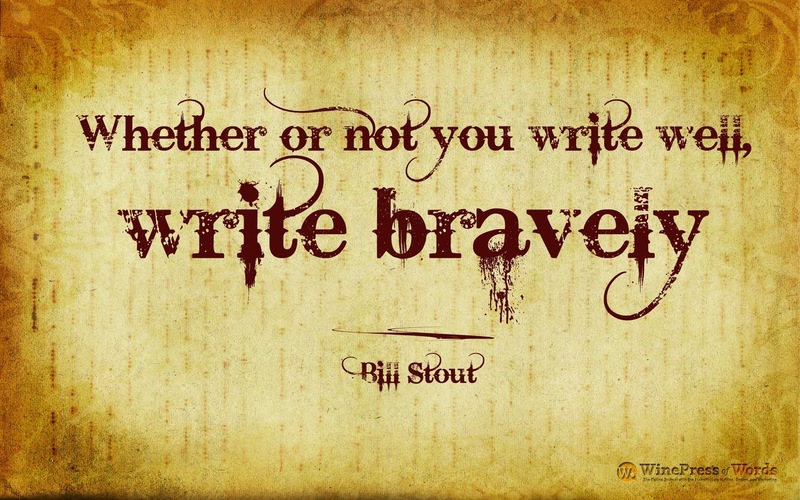 I fear many will be over looked just as they are today with the scrapping of school action and school action plus. Both needed to be amended, as to allow the parents more confidence in the system, but this… I cannot see the benefits to the parents, just the governments budgets as the numbers of children with statements (soon to be EHCP) falls the piggy bank belonging to the government will fill up nicely! I remember what it was like fighting for that statement, it was tough, I really don’t see much in the way of making that fight any easier when reading this proposal. Looking at how the government has so far messed up in nearly every other area, it looks like its gonna be a bumpy ride ahead, so hold on tight parents, you can’t afford to let go. Guess what? 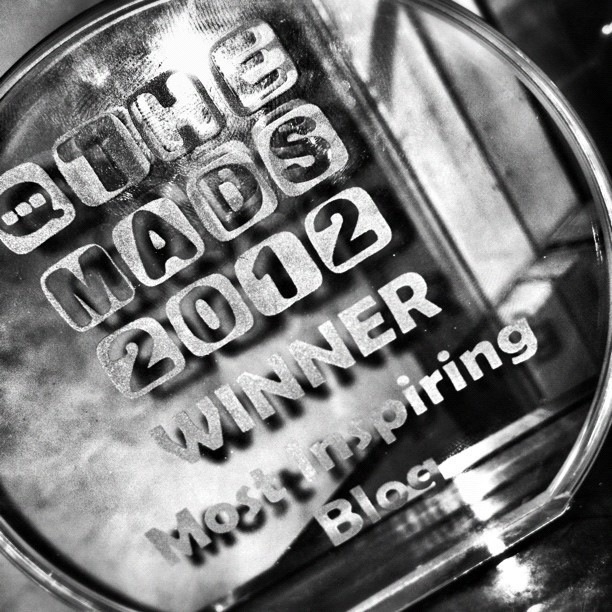 There really isn’t very long left till nominations close for the Mad blog awards 2012. As many will already know, I was lucky to be nominated in two categories last year (blogger of the year & Most inspirational) and I was delighted to go on to win the title “Most Inspiring Mad blogger” 2011 back in September. Of course I’d love to be part of the Mad blog awards this year, not just because it was a lot of fun last year and I got a night off duty when attending a glitzy awards ceremony but it also helped me create lots of publicity for the blog and therefore the subject it’s built around, “Autism and Asperger’s Syndrome” It was truly rewarding being able to create lots of awareness for something I’m so very passionate about. I haven’t really done much in the way of drumming up nominations as I know the public can get a bit peed off with the constant “Vote for Me… Vote for Me” scenario! 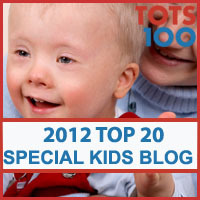 Here’s hoping you’ll enjoy it and feel inspired to pop our blog on the nominations list. 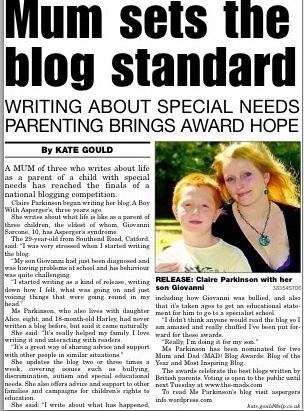 A boy with Aspergers would love to be nominated for blogger of the year and again most inspiring. It’s dead simple to nominate, just click HERE and enter our URL in the nomination box for blogger of the year (this is the only category you must nominate someone for! All other categories are optional). Click next and pop the URL in the most inspiring box. Only requirement is to include your name and email on the nomination form, though the Mads do not spam you so your safe. It really does take less than a minute to nominate and myself and the little man would really appreciate your support. to attend the parent blogging event of the year? As an avid parenting blogger of 3 years, who is passionate about her blog, I like to attend the big name conferences in order to gain tips and inspiration on all aspects of blogging and the world of social media. This two-day conference is solely dedicated to the British parenting blogger & its audience and will attract some 500 attendees. Britmums live is run by the UK’s largest parent blogging network of more than 3,000 influential and engaged bloggers and is set to make a massive impression on the blogosphere. What with some fantastic top name bloggers all set to attend and some high-profile speakers, such as Sarah brown and Ruby wax its the ideal time to connect with bloggers. So… If you’re a brand looking for a way to get noticed, sponsoring an influential, well established blogger who knows how to network could be the way forward. Having been sponsored to attend events such as Cybermummy 2011 (sponsor, Londontown.com) and the Mad blog awards 2011 (sponsor, OptiBac Probiotic’s) which I was chuffed to have won the Mad blog awards most inspiring blogger of 2011, I can promise that your brand would be very well represented. If you are looking for a parent/mummy blogger who has a good reputation with some big name brands (Argos, Sainsbury’s & Micro scooter just to name a few) with the addition of an influential reach within both the parenting and special needs communities, then I just might be your blogger! WHAT CAN I OFFER IN EXCHANGE FOR SPONSORSHIP? ▪ A professional blogger/brand relationship with all terms of the agreed sponsorship fulfilled within the agreed time scales. Mentions and reviews on my sister blog which launched this month and already proving a success. I am also open to discussion on any request you may wish to make as to form a sponsorship that is tailored to suit us both. WHAT WOULD I REQUIRE FROM YOU AND YOUR BRAND? I think that’s a pretty awesome deal and a great opportunity for some great exposure at a low-cost. If your interested in becoming the sponsor of an award-winning blog, then don’t hesitate to contact me and I’ll be happy to send you my media kit containing all that need to know information such as states, reach, testimonials, Wikio/ebuzzing klout scores, blogging achievements and more. Please feel free to email any questions you may have and I’ll be sure to answer them the best I can. 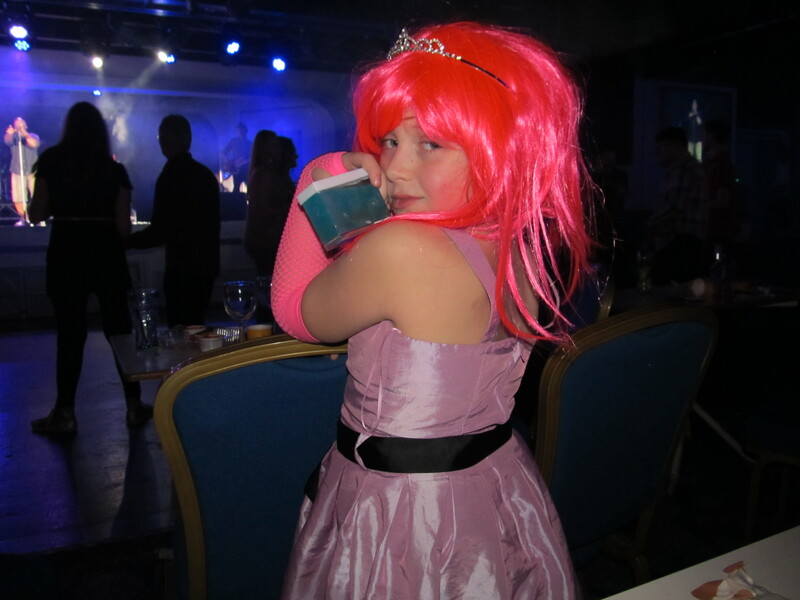 Well, it’s a whole week since the Tots100 Christmas party at Butlin’s (where does the time go)? So… I thought it was about time I shared with you all the positives of our family trip, my overall thoughts on the Butlin’s resort located in West Sussex’s Bognor Regis, plus fill you in on all the gossip from the Tots100 Christmas meal & afternoons festive activities. Some of you may have read my last post which mainly focused on my sons difficulties in his inability to adapt to the new surroundings, he was therefore unable to settle during the break and as a result he became quite challenging. 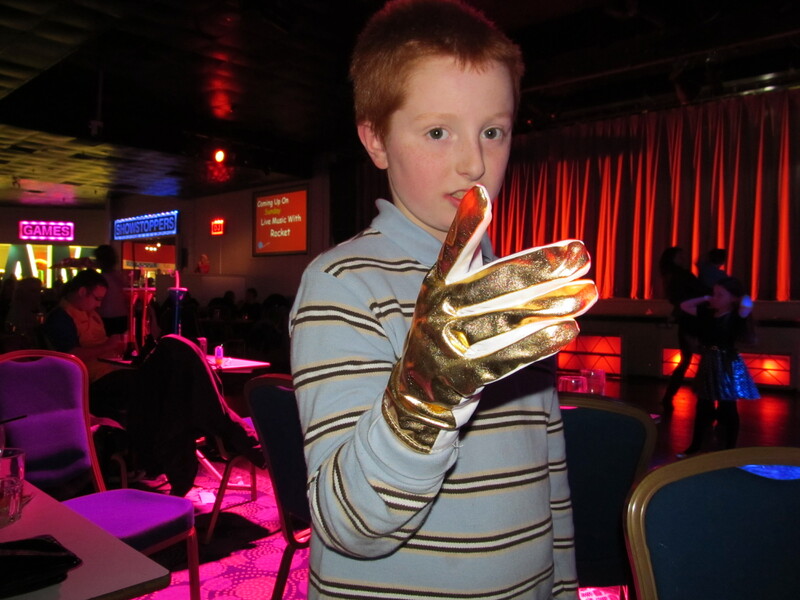 It didn’t seem right, nor fair to write about my overall experience at Butlin’s or my thoughts and documentation on the Tots100 Christmas party! Basically that was a real negative post and to mix the two just wouldn’t have worked, nonetheless I had to write it, clear my head, move on and hopefully learn from it! On a lighter note, we were incredibly lucky to be given the chance to go to Butlin’s especially during such a festive period! It was the Christmas fantasy weekend and as a result there was a great deal going on. As the Tots100 party was being held at the Butlin’s resort, attendees were given an awesome deal on a weekend stay in one of its two lovely hotels, and what’s more the family could come along too (something I wouldn’t have otherwise been able to afford to do at this expensive time of year). 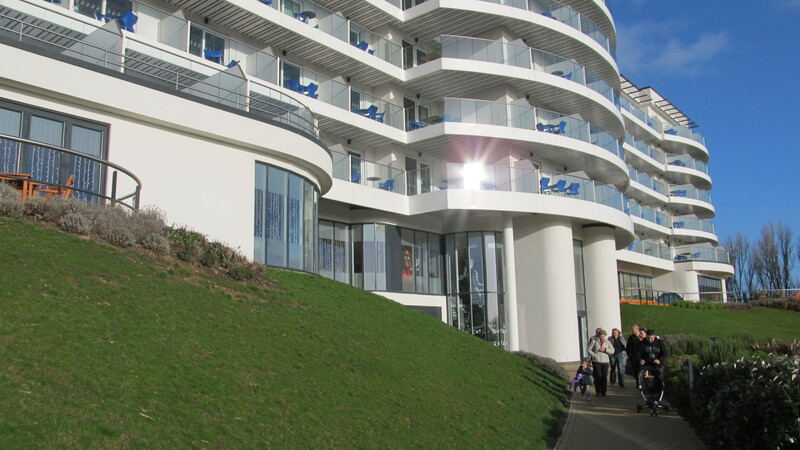 We got booked to stay at the Ocean hotel which has beautiful views over looking the sea front. Now I have been to the Bognor resort before but this was some years back and the first hotel was just in the process of being built. It had changed somewhat and seemed that bit classier (if you know what I mean). I don’t know what I expected in terms of the hotel, what with it being part of the resort as I’ve only every stayed in the apartments on pervious visits. We didn’t arrive on the resort till gone 11pm Friday night, as we approached the entrance to the hotel, my somewhat whining tired children suddenly become wide eyed and excited. Harley absolutely loved the Snowmen that line the walkway into the hotel and spent most of the weekend saying, “Look Snowman” every time we passed them. The Ocean was fabulous what with its Disco lifts and magical lighting… Yes, you may think it sounds a little tacky but it really wasn’t, it was far from it in fact! The Ocean really did have all the makings of a top hotel that catered for both Children and adults, what with it’s beautiful spa and restaurant, you could even hire games and DVDs from reception. 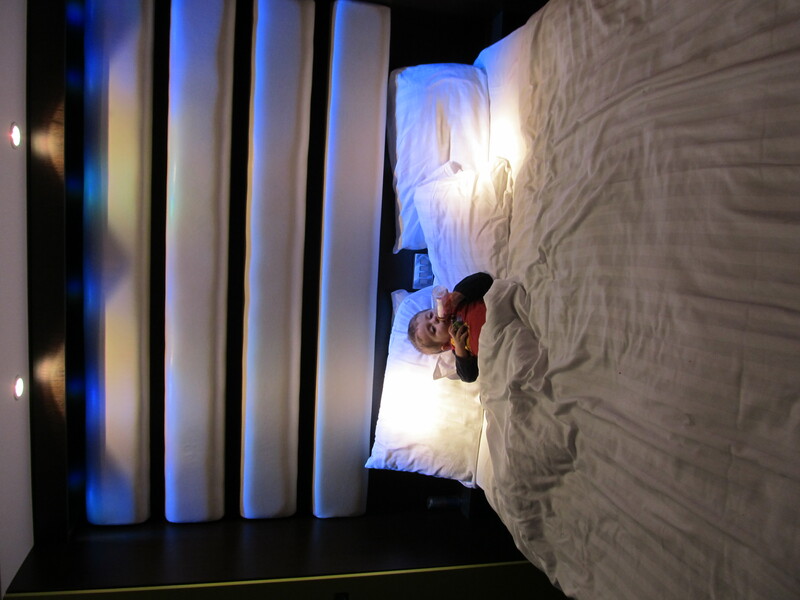 Little man did love the lighting in the room, it was really calming and would actually be great in any sensory room. As you lay in the bath the lights above the bath would slowly change from one colour to the next, one minute you were bathing in a heavenly red tub, then the next you were soaking in a blue lagoon. Little man was so drawn by this feature that for once he was the first person in the tub (seriously I normally have to carry him and force him in the bath kicking and screaming, so this was a welcomed change). We also had the same mood lighting above the bed which looked extremely impressive. 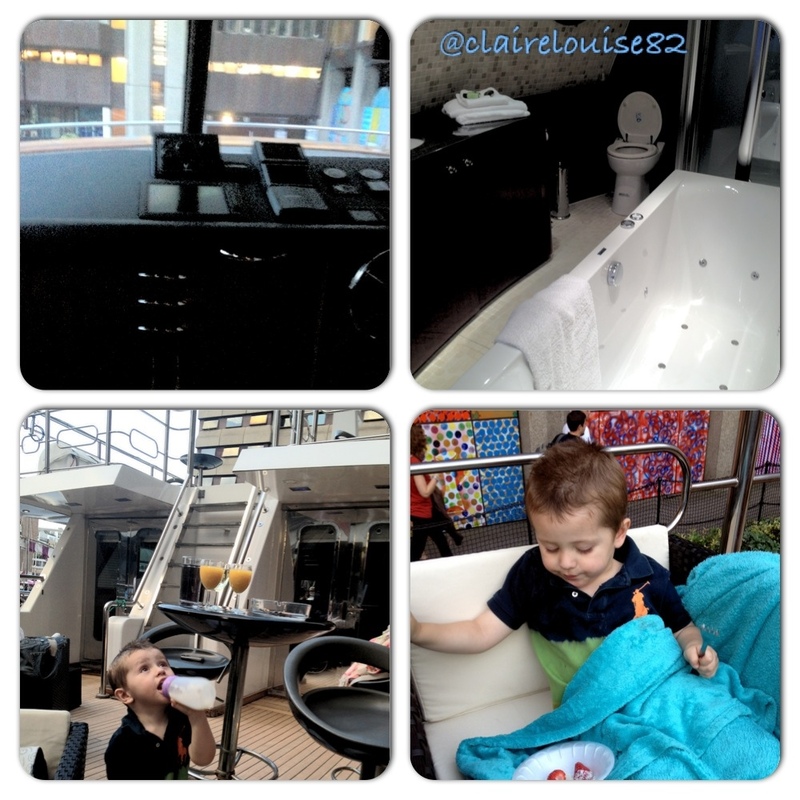 There was loads to do, so much I only wished we had more time (well if the Little man wasn’t so challenging that is)! Sadly we didn’t get to go swimming and this did result in a few tears. Little man had in fact forgotten his trunks but a trip into town via a little train that ran along the sea front fixed that problem (the town is just a 10 minute walk from resort if you don’t fancy the little train) sadly by the time we arrived at the swimming baths known as ‘Splash Waterworld’ It was closing, I must admit I did expect it stay open a little later then it did. 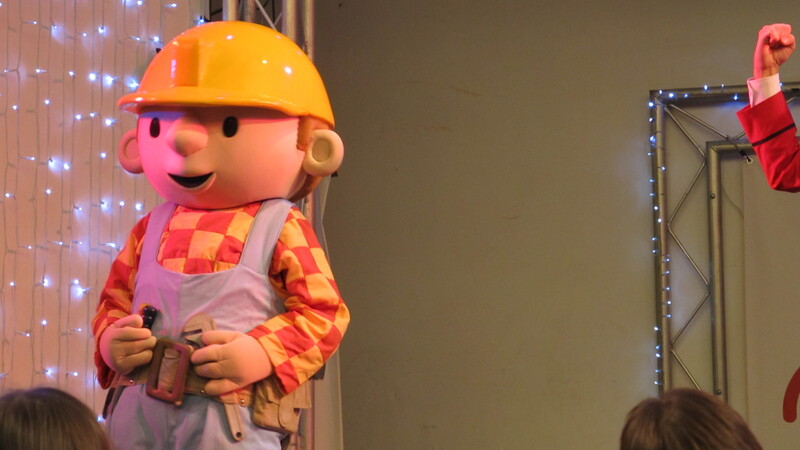 There was still lots more to do and discover, Harley even enjoyed his second birthday on site with friends such as Barney and Baby Bop, Fireman Sam, Pingu and his all time favourite ‘Bob the builder’ Yes, it was a little tots idea of paradise. 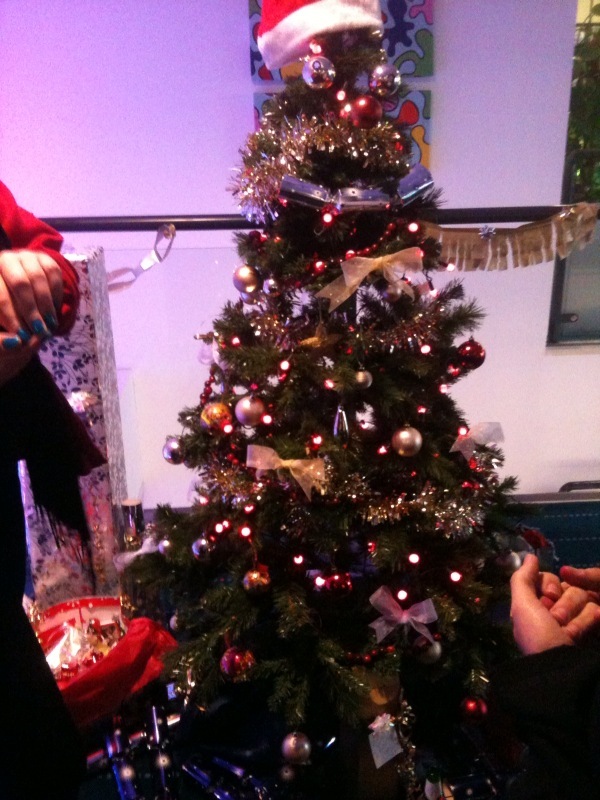 The fact it was Christmas fantasy weekend made it all the more special! Children could meet Santa in his magical wonderland, get up close to real reindeers, have their pictures taken in an oversized snow globe and meet Bojorn the huge white mechanical Polar Bear. There were shows throughout the day right through till the end of the evening. 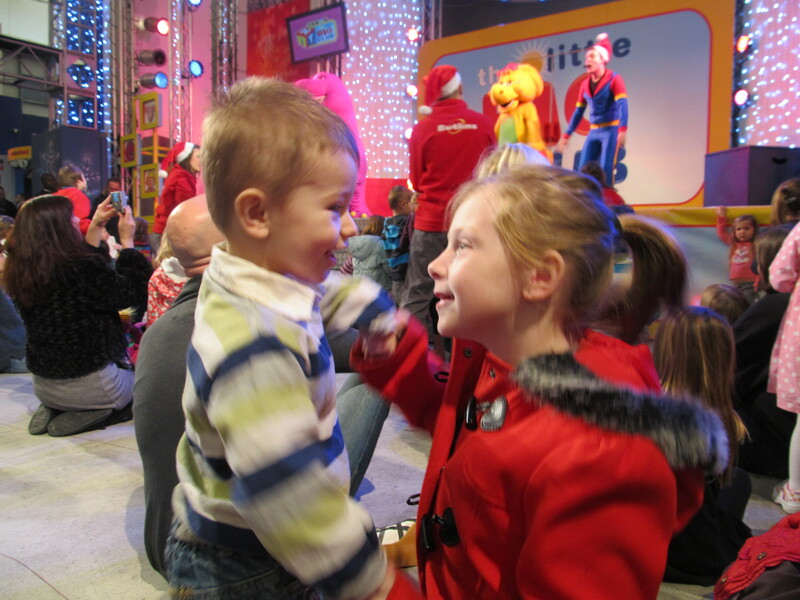 By day tiny tots could enjoy the puppet shows in the skyline and families could watch Panto together at centre stage. In the evening we enjoyed tribute acts such as Lady Gaga who was so good Little man couldn’t get over the fact it wasn’t actually her and all the children seemed to enjoy the Abba sing along and once it that was all over Little man and his sister had fun making the odd request to the DJ and getting her to wish their baby brother a very happy 2nd Birthday, which I thought was really sweet. If that was enough Centre Stage also has a pretty funky show shop where you can buy everything from bubble blasting guns, flashing necklaces, funky coloured wigs, fairy wings and glow bracelets (just checkout the photos below, as you can see my daughter was really feeling the dressing up vibe). Saturday was the day of the Tots100 Christmas party, it was broken down into two sessions, which worked well for me because of the children. First you had a festive afternoon of mince pies, mulled wine and some fun festive activities and later in the evening it was drinks at a cocktail bar before heading of to Butlin’s newest restaurant Tuner’s a more finer dinning option. 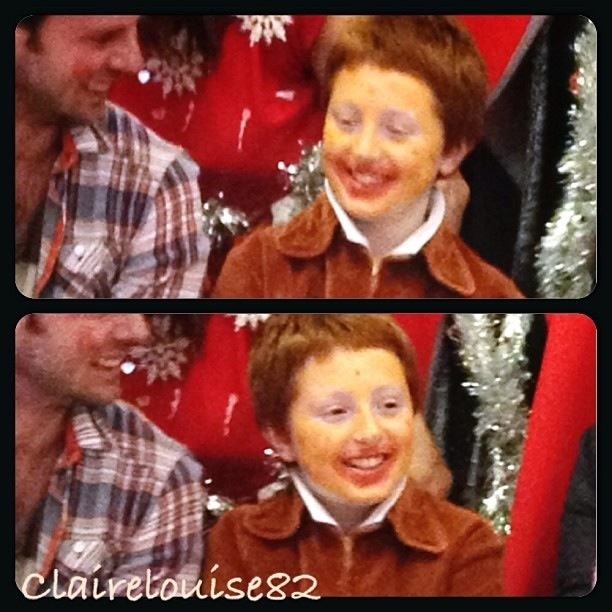 The Christmas party was a bloggers only occasion which meant no Little one’s (Thank goodness, as I can’t imagine what my fellow bloggers would have made of the Little man’s mood). First it was planned that their father would accompany us to Butlins but he feel ill which meant I got to invite my very Lovely friend Donna to join us, who thankfully being such a close friend has experienced one or two of Little man’s worse meltdowns to date. Regardless, I was still worried that while gone they may somehow go to far maybe leave her hanging upside down from a Christmas tree or something! Of course I was a tad late for the afternoon’s fun, Little man was practically hanging from my ankles begging me not to go and in no uncertain terms telling me how selfish I was for leaving, while Harley was so over tired he was throwing his own wobbler. Alice-Sara, my daughter however seemed quite relaxed in terms of she didn’t bat an eye lid as I left, just sat chilling in the kids den watching some children’s television show. Once there I was greeted by the lovely Sally Whittle writer of ‘Who’s the mummy‘ and the lovely lady behind the Mad blog awards, had planed the whole thing for us load of mummy bloggers. 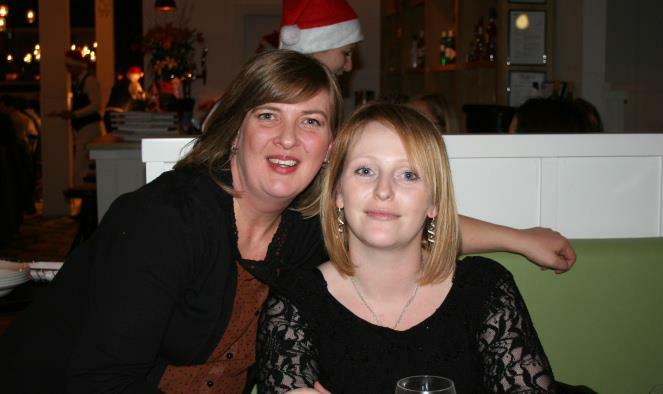 Sally is a woman who I owe a lot of thank you’s to, she really does some pretty special stuff and along with the Mad blog awards has now given me two great memories to grow old with. Before the evenings dinner it was back to the hotel for a few hours (in which I was pleased to discovered my friend was thankful still alive) before getting changed in to something a little more glam and heading back out again, while my friend took the children to see a show. I first joined my fellow bloggers for one or two cocktails that I must add where scummy, then it was off to Tuners to eat. There were 36 of us in all, 35 mummy bloggers and one daddy blogger all taking up too long rows of tables, I got to sit with Lou from bloggomy who I got to meet for the first time at the Mad blog awards and it was lovely to catch up over a glass of white and a festive feast. Tuners opened it’s doors in 2011 and is named after the famous chef Brain tuner who helped create the restaurant which is advertised as affordable fine dinning. The restaurant boast some top chefs such as Nigel Davis (formerly of the ivy) cooking its six course Christmas dinner. I really did have an enjoyable evening though I really did feel a little sad at not being able to join some of the bloggers such as the lovely Romanian mum, who went on for drinks and dancing after the meal! Sadly with my children, I really did need to get back and save my friend from any meltdowns or sibling punch ups. All in all despite my stress and parenting dilemmas while at Butlin’s, I really am pleased I went and will definitely be going again…. Someday!